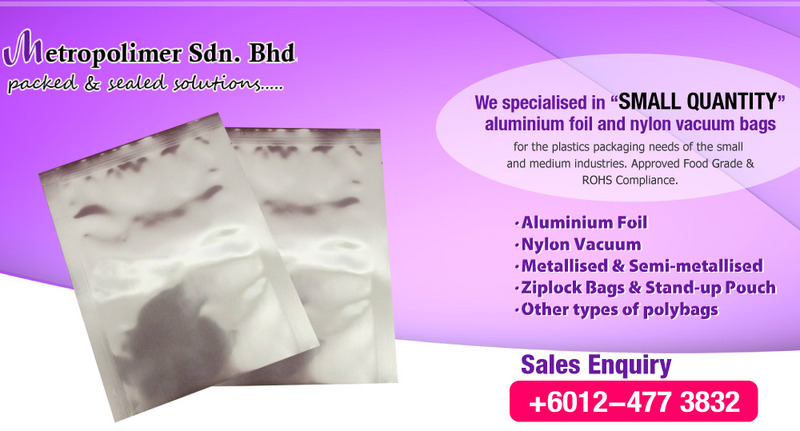 Metropolimer Sdn Bhd was established in 2009 by our directors with more than 15 years experience in the plastics packaging industry. 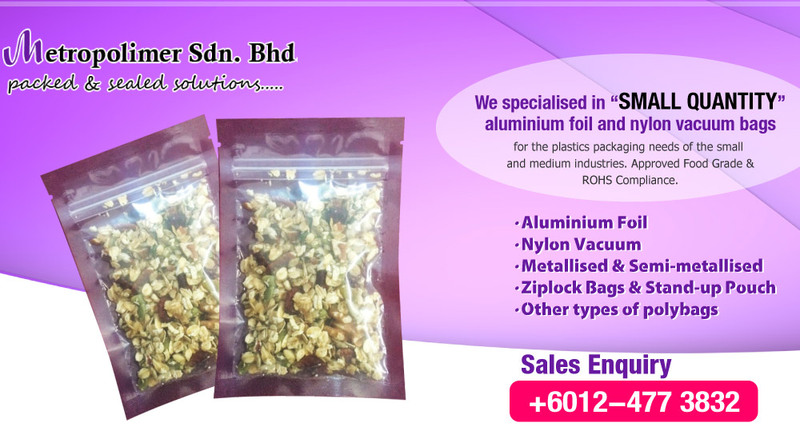 We specialised in SMALL QUANTITY aluminium foil and nylon vacuum bags for the plastics packaging needs of the small and medium industries. Our main office is located in Penang, Malaysia. With over 5 years experience supplying to various types of industries, you can be assured that our products will definitely meet your requirements. 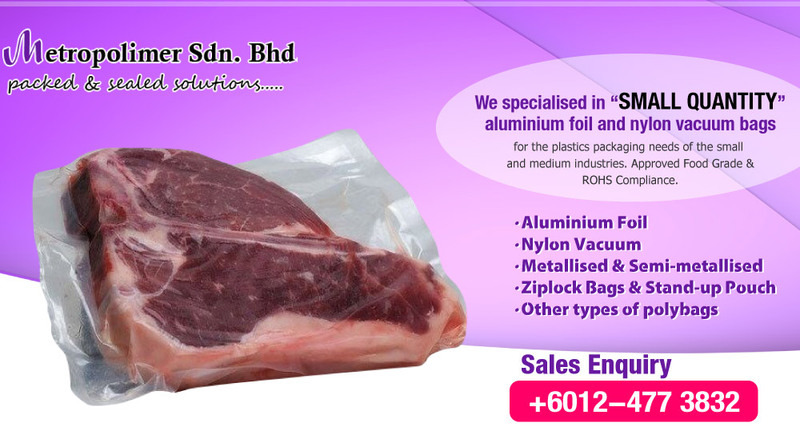 In addition, we only use pure raw materials that are Approved Foodgrade and RoHS Compliance. Contact us for advice on your plastics packaging needs and also FREE samples for fitting test and product/machine suitability.